Like you, I am disappointed and concerned by the ongoing government shutdown. President Trump has still not agreed to sign any funding bill. This game of chicken over the border wall is not advised and will not make our country safer. We need comprehensive immigration reform that bolsters border security and protects young DREAMERS, not political stunts. Last week, the House of Representatives passed legislation to reopen the government and I urge Senator McConnell to bring those funding bills to a vote. The American people deserve better, and the President should work with Congress to reopen the government immediately. What a year 2018 was! Despite the challenges in Washington, I’m proud to have worked across the aisle and delivered real results to the people of New Hampshire’s Second Congressional District. From improving healthcare for veterans, to taking meaningful steps to tackle the opioid epidemic, there is much we can celebrate! Serving our veterans is an issue that’s deeply personal to me. As the Ranking Member of the House Veterans’ Affairs Subcommittee on Oversight and Investigations, I worked across the aisle with my colleagues on the House Veterans’ Affairs Committee to advance the VA MISSION Act in June. I was one of two House Democrats to co-sponsor this legislation, which will increase the number of veterans who are able to receive care in their community through the Choice Program. 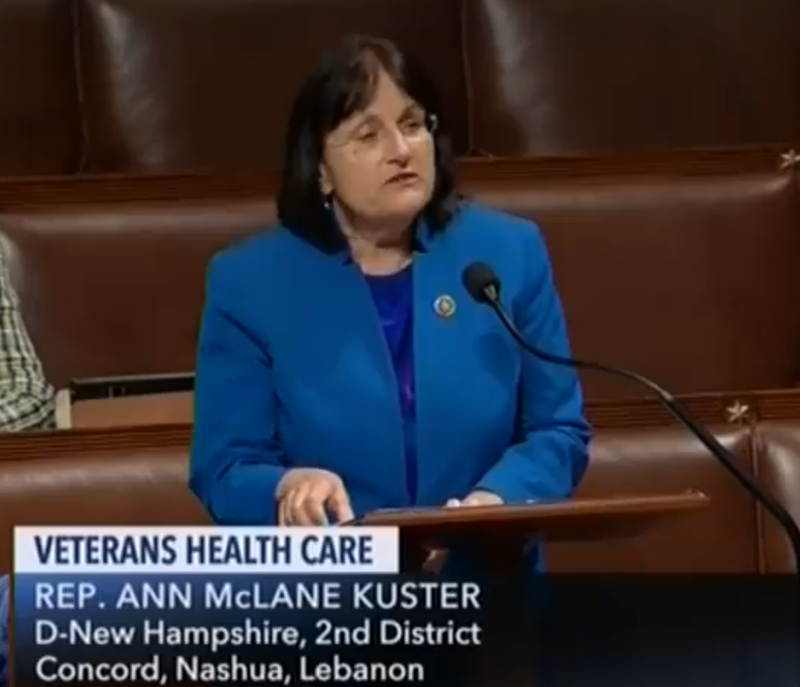 The bill also includes a provision I fought for that provides special eligibility for community care to veterans in a state without a full-service VA hospital, such as New Hampshire. Support for our veterans is not a partisan issue and I’m glad my colleagues and I worked together to advance this legislation that will improve services at the VA for the men and women who have served our nation in uniform. Speaking in support of the VA MISSION Act. Watch here. Our delegation has worked tirelessly to fight for resources to bolster our response to the opioid epidemic. In September, after writing to SAMHSA and calling on the agency to approve additional funding requested by New Hampshire to combat the opioid crisis, SAMHSA released $22.9 million for Fiscal Year 2018. In addition, the Centers for Disease Control and Prevention awarded New Hampshire’s Division of Public Health Services $3.6 million to support efforts to prevent opioid-related overdoses and outcomes, and the Health Resources and Services Administration released $3.6 million to provide access points throughout New Hampshire. Later in the month, I was encouraged that my colleagues in Congress came together and passed the bipartisan SUPPORT for Patients and Communities Act (H.R. 6), which was signed into law by President Trump. The bill supports efforts on the frontlines to tackle the opioid epidemic, addresses synthetic opioids, expands the availability of medication-assisted treatment, and authorizes physician assistants and nurse practitioners to provide buprenorphine, which is critical for rural communities in New Hampshire and across the country. In the new congress, I will continue to bring together Republicans and Democrats on the Bipartisan Opioid Task Force to stem this crisis and help individuals struggling with substance misuse recover and reclaim their lives. 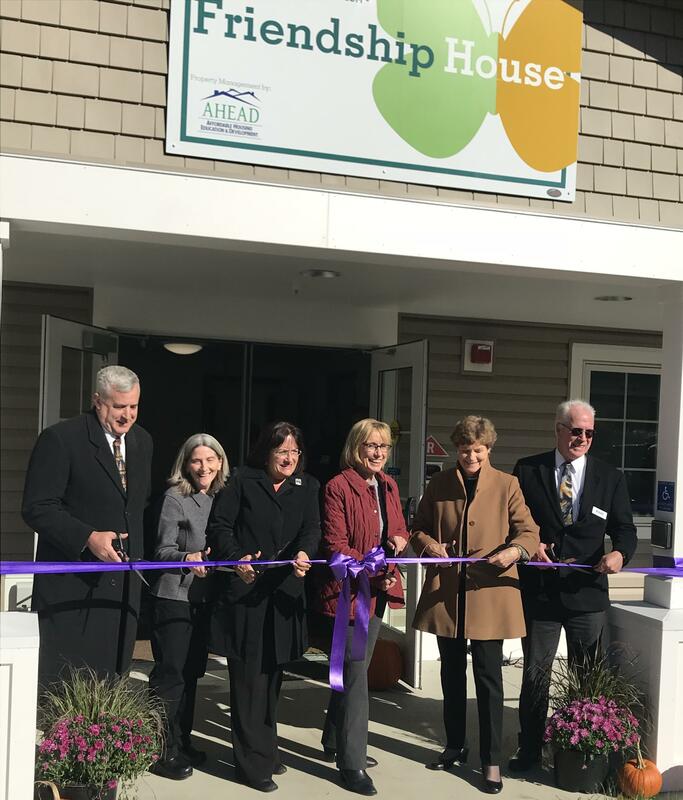 In October, I joined Senator Shaheen, Senator Hassan, local elected officials, healthcare professionals and area residents at the Ribbon Cutting Ceremony and Open House for the recently completed Friendship House treatment facility in Bethlehem. I was proud to write in support of funding through the Northern Border Regional Commission (NBRC) for the construction of this 32-bed facility. As the North Country’s only short-term residential and outpatient treatment program, Friendship House plays a pivotal role in providing those struggling with substance misuse the support they need to treat their addiction. I was thrilled that the final 2018 Farm Bill, which was passed by both Houses of Congress and was signed into law by President Trump, includes provisions I pushed for that will strengthen the Northern Border Regional Commission (NBRC) and expand the reach of the program. The NBRC has a proven track record of supporting rural development projects that are having a positive impact on communities in northern parts of New Hampshire, and I will continue to back efforts to grow rural areas of the state so that families and communities throughout the Granite State can grow and thrive. The Farm Bill also includes reforms I advocated for that strengthen the U.S Department of Agriculture’s assistance to growers who wish to switch to organic. This will decrease our country’s reliance on imports of organic food and is a win for our economy, environment and families nationwide. Furthermore, the bill has provisions I fought for that protect New Hampshire’s dairy producers who are dealing with low commodity prices and a volatile trade market. In addition to repealing the flawed Margin Protection Program, the bill replaces it with a revamped Dairy Margin Coverage that offers flexible options and lower costs for dairy producers. 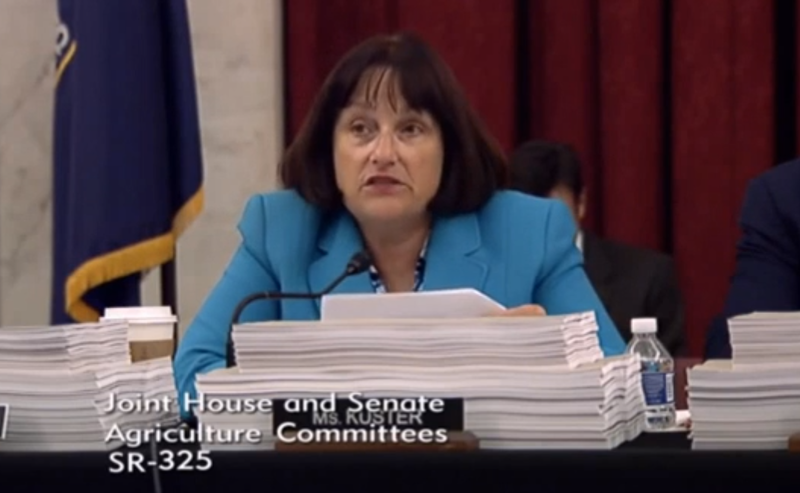 Speaking About NH Priorities for the Farm Bill Conference Committee. Watch here. In 2018, we saw the #MeToo movement reach new heights and become a critical part of our national dialogue. I highlighted my own experience of being sexually assaulted in an op-ed with the USA Today in September during the confirmation process of Judge Kavanaugh. Although I was deeply disappointed by the Senate’s vote to confirm Brett Kavanaugh to the Supreme Court, I remain proud of women and men like Dr. Ford who speak up to share their stories of sexual harassment and violence, and I’m pleased with what we’ve accomplished in the last couple of months on this important issue. 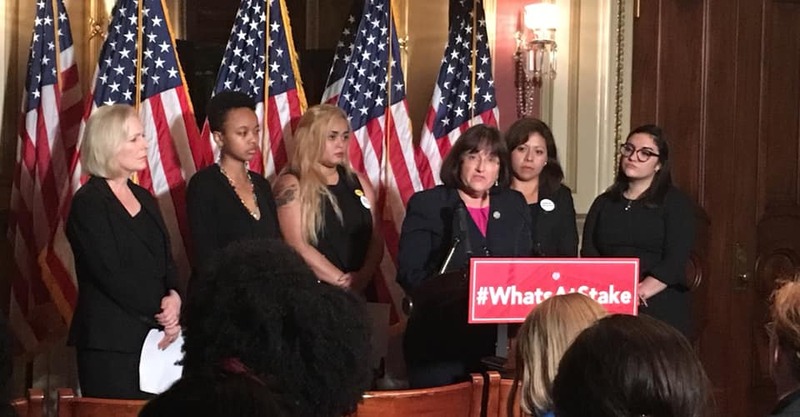 Last month, the House and Senate came together to enact long-overdue reforms to improve sexual harassment policies in Congress. In the #MeToo era, Democrats and Republicans alike are committed to advancing legislation that addresses the scourge of sexual violence and harassment across our nation. To do so effectively, we must lead by example and be an institution and workplace where survivors’ allegations are taken seriously and promptly adjudicated. This bill is an important first step in reaching that goal, and I look forward to continuing to tackle this issue head-on in the new Congress. Sharing my story of sexual assault at a press conference with Sen. Gillibrand & survivors. Watch here. In the new year and new congress, there are many issues I will be focusing on. I was proud to release my Jobs and Opportunity Agenda in May, and in 2019 I will continue working to expand economic opportunity so that every Granite Stater can succeed and get ahead. I’ve heard from many Granite Staters that they are tired of the status quo and want real reforms that make Congress work for the people. That’s why my colleagues and I have unveiled H.R. 1, the For the People Act, a bold new agenda to make government more transparent and accountable. This package will make it easier—not harder—to vote, help get dark money out of politics, level the playing field for all Americans, and hold public officials more accountable. These are not partisan issues and I’m hopeful that we can build bipartisan support for this legislation. I’m excited to announce these proposals, and I look forward to working with my colleagues on the Democracy Reform Task Force to enact meaningful change for the American people. I will also continue my efforts to preserve and protect our environment. The extensive report on climate change released in November by the U.S. Global Change Research Program helps confirm what we already know: climate change poses a serious threat to our environment, public safety and economy. Congress must take swift action to help combat this growing crisis, and I look forward to being part of that effort. After last month’s ruling against the Affordable Care Act by a Texas judge, protecting access to quality, affordable healthcare for all Americans is more important than ever. We cannot go back to a time when people with pre-existing conditions can be denied care. In 2019, I will keep fighting to ensure everyone can obtain the medical services they need. Expanding rural broadband will also continue to be a top priority of mine in the new Congress, as this is an issue I’ve heard about from consumers and small business owners throughout the district. I welcomed funding to expedite rural broadband expansion that was included in the government funding bill signed into law by President Trump in March, and I remain committed to securing federal resources that will help municipalities modernize their telecommunications infrastructure. I encourage you to continue reaching out to my Washington, DC office at 202-225-5206 or my Concord office at 603-226-1002 with any questions, concerns or ideas you have. I love hearing from you! Thank you for everything you do to make New Hampshire such a special place to live. I hope you've had a great start to 2019!